Home > Wireless > Are you really who you say you are? The world is constantly evolving, and it is pretty complicated already, however as technology evolves, challenges naturally ensue to harness and properly use the technology. These challenges become much more serious and difficult when the rate of technological change increases. As customers know, significant time is often necessary to understand, implement, experience, and adjust to the new technology if it is to be employed efficiently and effectively. If we are to embrace the productivity, operator value and other rewards that technological advances offer, the reality is that it is morphing at a historically high speed and there is every reason to believe that it will only continue accelerating with no pause in sight. Without doubt, the most notable thing about biometrics is that, when used properly as a method of identification, it is completely accurate. Only you are you. And unlike a card, fob, token, password, PIN, photo or key, you are never misplaced, broken, forgotten or expired. The individual is ultimately the most convenient, definite and accessible verification of themselves – and since the Internet of Things increasingly forces technological interaction with everything, it is more important that access to all these things is enabled only by those who have the proper authority to do so. That is why EMKA/Digitus Biometrics exists with a different and properly designed biometric security to protect the things that it should, without compromising personal privacy, while providing ready access into and out of secure areas and enclosures to protect critical data, systems and assets. When it comes to accessing enclosures that house IT equipment, systems, hazardous materials, valuable assets and even private conversations, companies rightly need to objectively ensure that only those persons with a need to access the enclosure – the rack, cabinet, room, cage, and vault – are allowed to do so under the parameters set by the organisation’s security policy. Cards alone can be awkward to manage. Aside from having to carry them or look geeky wearing them, they get lost, get technologically bypassed, require inventory management, and worse, get counterfeited and stolen. Biometrics, on the other hand removes all of these negatives. It used to be said that, by its nature, biometrics eliminated the plausible deniability that the unauthorised person had no fault in the breach. How many times has a security officer been told, ‘It wasn’t me!’ claiming that the card/key/fob/token/password/PIN must have been misappropriated. But with Biometrics access solutions, not only is plausible deniability forever gone, but there is no longer any breach to even get to that point. 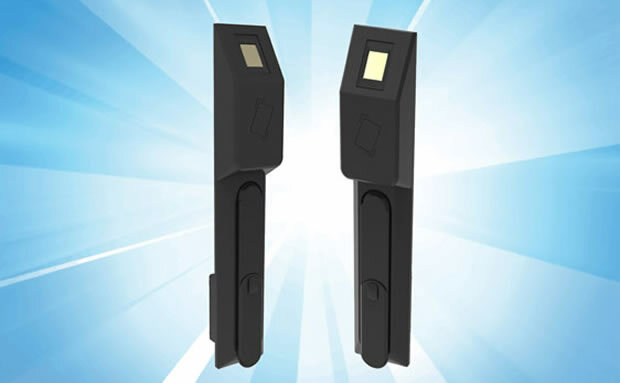 EMKA/Digitus Biometrics now provides an access security with devices to secure data equipment enclosures and pedestrian entrances; they recently announced the best of both worlds. The new DualLock combines biometrics and card technologies. Built directly into the data centre cabinet’s handle are the fingerprint reader and card reader, requiring dual-authentication at the cabinet. No longer are ‘you’ required to authenticate with just a card, or just a finger, or at the end of the row. Finally, there is an access security product on the market that ensures, without any doubt – at the enclosure door – that ‘you’ are ‘you’, that you are permitted, and that you are doubly verified. The greatest fear of advancing technology is that it outstrips our privacy and practical security. EMKA/Digitus products are designed to provide the best of all possibilities - and yes, it integrates with your enterprise access control software.